We have created a unique design for the particular requirements of this site. Overcoming the problems presented in previous planning applications and providing a particularly desirable eco-house. Key requirements included ensuring the neighbouring school's privacy and protecting the home from noise. 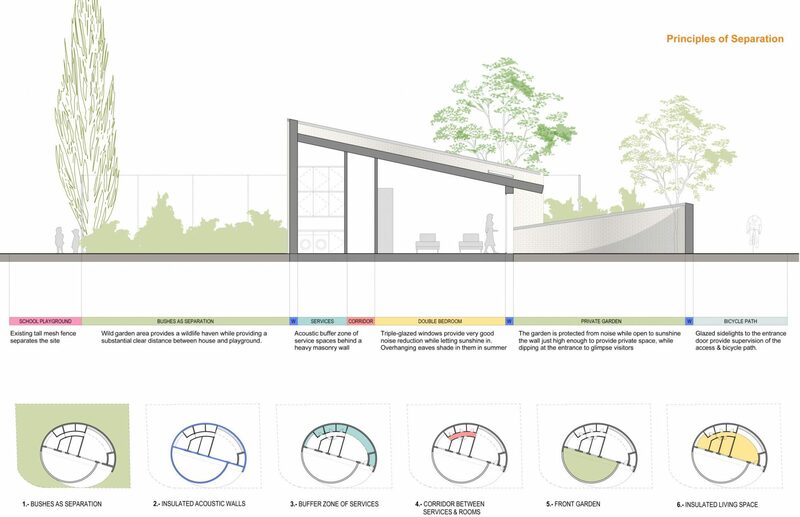 The design encompasses the house and its private garden with a sweeping protective wall allowing an external connection on its south side and access to the local cycle way. The design approach takes its inspiration from the idea of a protective shell, wrapping a strong substantial masonry wall around the exterior of both the house and its private garden. The wall sweeps round in an ellipse reminiscent of a Nautilus shell, higher at the rear and dropping down next to the entrance to allow glimpses of visitors. 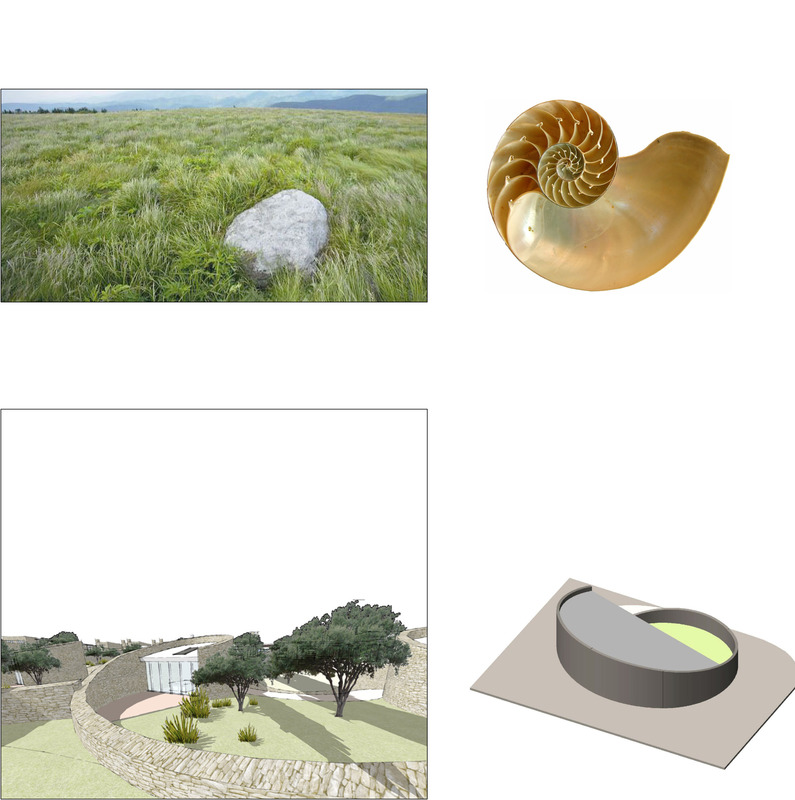 The shape provides a visual self-containment, like a pebble in grass. A large separate area of land between the building and the school, with no direct access from the home, is designated as a wildlife haven. 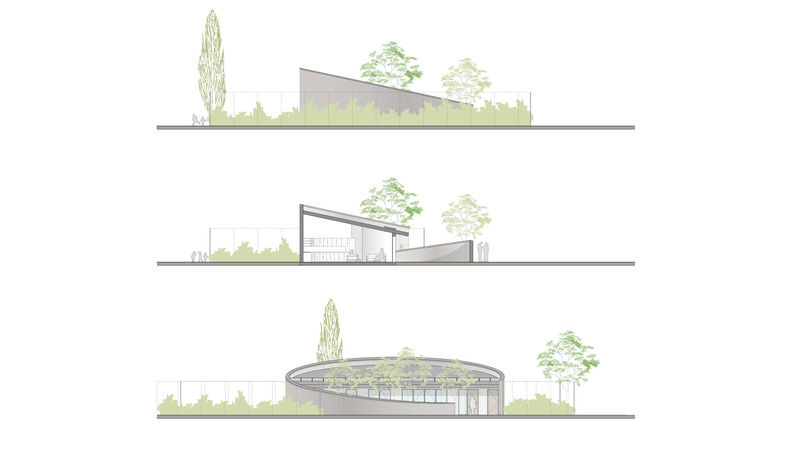 It is densely planted to both support wildlife and create a visual and acoustic buffer between the home and the school.